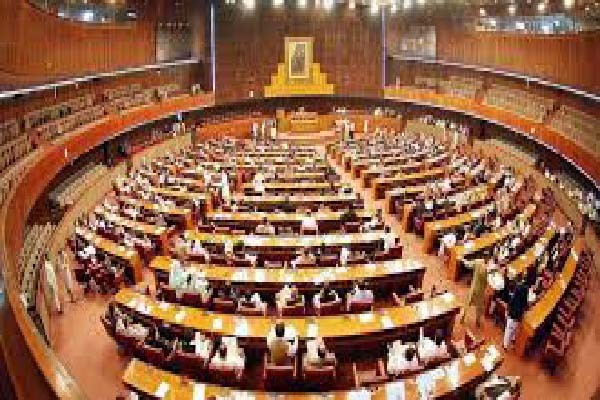 ISLAMABAD, Sept 26 (APP): Members of the National Assembly on Monday appreciated Prime Minister Nawaz Sharif for adopting a forceful stance on the Kashmir issue at the United Nations General Assembly session. Speaking on the issue, the members from both sides of the isle unanimously voiced to strengthen the prime minister to accelerate diplomatic efforts for countering malicious propaganda of the Indian prime minister, leadership and media. minister for highlighting the cause of Kashmiri people at international forums,” said PML-N MNA Talal Chaudhry. “We should not politick on this issue and stand united for national interest,” he said and added that during last many years the Kashmir issue was put on the back burner but today it was focus of the international community due to the efforts of the government and the Foreign Office. He said today whole of Indian leadership and media were maligning the Pakistani leadership and it was high time that the Pakistani nation should stand united to give a befitting reply to the Indian propaganda. PTI MNA Dr Shireen Mazari said India was threatening to suspend the Indus Water Treaty and any agreement suspended unilaterally would mean an act of war. Today Kashmiris were braving Indian brutalities with more than 100 people laid down their lives and thousands suffering injuries. “Maligning Pakistan is a pre-planned conspiracy of India. We need to plead our case forcefully and give proposals to resolve the Kashmir issue under the UN resolutions,” she added. She said the United States had exerted pressure for plebiscite in East Timor. But, now it was standing with India, which was threatening Pakistan and sponsoring terrorism on its land. She said India had neither provided Pakistan any proof about the Uri incident nor any Indian TV channel had shown any visuals. MNA Tariqullah, Khadim Hussain and Sattar Bachani also appreciated the prime minister’s stance at the UNGA and extended support to his overtures for highlighting the Kashmir issue.